Are There Loans for Bad Credit Businesses? The concept of loans for bad credit businesses is different today than it was a few short years ago. The economic crash of 2008 affected everyone, not just the real estate developers in California and the bankers on Wall Street. 401-K plans shrunk down to nothing, home values imploded, and many small business owners found themselves breaking the cardinal rule of owning a business – going into their personal money to cover business expenses. Are you one of those unfortunate souls? Cheer up. There are loans for bad credit businesses. Most of them classify more as cash advances than actual loans, but chances are you are eligible for one. Do you have cash flow? Are credit card transactions taking place? If the business is still open and generating an income of some kind you can secure yourself a loan or cash advance. It’s a simple matter of knowing what to do and how to do it. There are some steps you should probably take before you go that route though. 1) Figure out your Bottom Line. Before you look to borrow money, figure out what your actual bottom line is. You may find after evaluating income and expenses that you really don’t need a loan. It could be a simple matter of cost control or possibly raising prices. These are both fairly easy ways to improve your financial position. 2) Create a Budget. Even if you complete Step One and find yourself in need of assistance, create a budget to determine what you will need to survive. 3) Set up a Rainy Day Fund. Even if there’s nothing to put in the account, set up a rainy day fund anyway. You should have a mechanism to save money when the time comes. Putting this is in place before you seek out companies that offer loans for bad credit businesses. Once you’re on track you’ll want to make sure you won’t need help again. 4) Assess your Tax Situation. Don’t overlook this. Small business owners often do an income and expense report and forget to include tax liabilities. Make sure you know what you owe now and estimate what you will owe in the future so you can put it into your budget. The best possible solution for those looking for loans for bad credit businesses is a cash advance. This is not a loan. It’s essentially a purchase of future credit card payments. 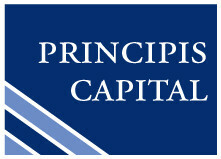 Pricipis will provide you the working capital you need based on the projected income from these credit card transactions. Your payments are a percentage of the actual income. If you’ve followed the steps above, you’re a good fit for this type of financing. Contact Principis today to learn more.